Winter’s dark nights call for additional illumination. A good corner floor lamp transforms an overlooked spot in your house into a comfy place of retreat; that’s the beauty of corner floor lamps. If you are eager to give some warmth to your room, a corner floor lamp is what to look for.Alternatively, a corner floor lamp for your living room is the perfect thing to finish your planned interior and overwhelm your guests with your sense of style. 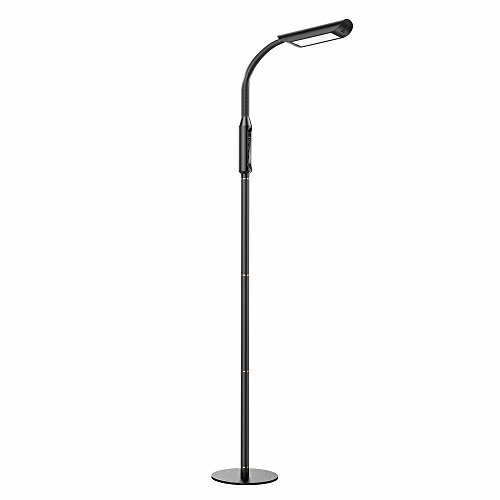 On a practical note, decide if you want a an adjustable standing lamp either by an angled head or by height or whether to purchase an Arc Floor Lamps, Torchiere Floor Lamps or Stick Floor Lamps. Please see below for our curated offerings. 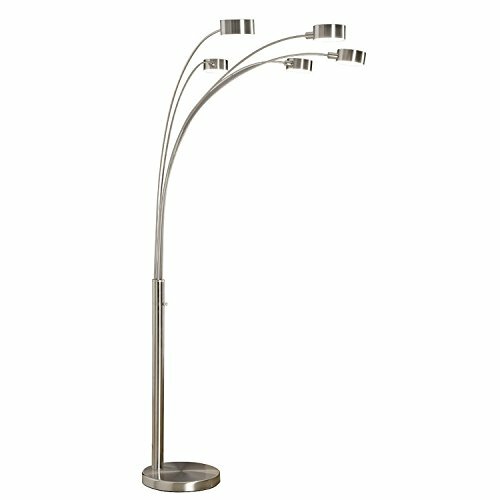 There are many floor lamps out there, ranging from simple to very modern ones with lots of extra features. When you are selecting a floor light, make sure you pay attention to its size, materials used to make, lampshade and style.Some corner light for living room have multiple bulbs, others are designed to be adjusted to different directions while others can increase the amount of light. 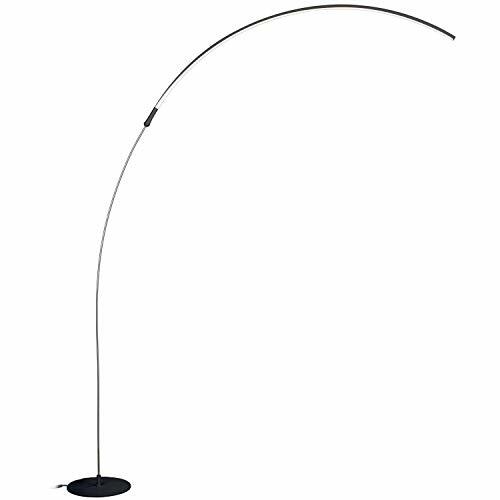 An arc floor lamp uses a curving arm to illuminate light down. 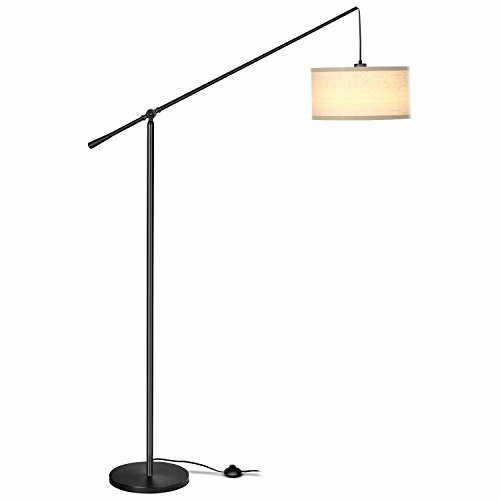 With a weighted base and along arm, arc floor lamp is helpful when used with a sectional sofa. 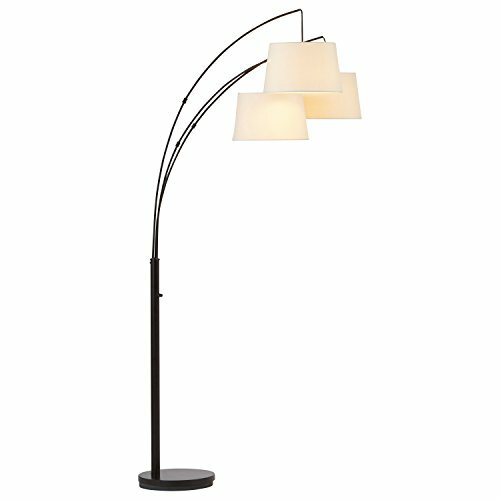 They don’t take up a lot of space and can fit into small rooms.Arch floor lamps add style and drama to a home. The design of raising the light up with its long arm provides flexibility as it allows them to be placed where they are needed most.They provides affordable and easy way of shining light to dim areas from above without installing lights on the ceiling. 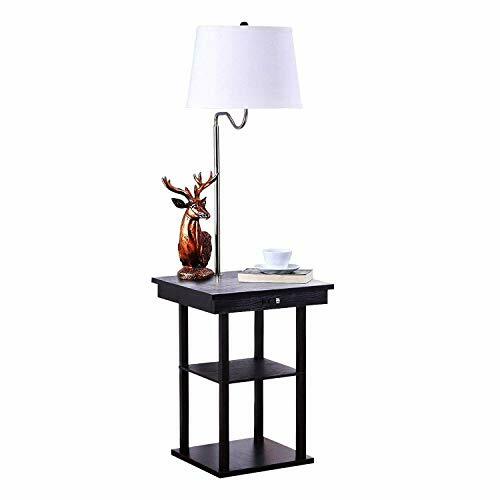 Its design is also ideal for rooms with small space that cannot accommodate table lamps. 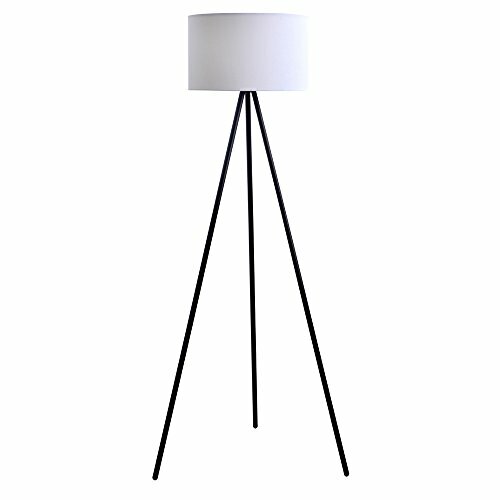 Torchiere floor lamp looks like an inverted lampshade at the top hence illuminating light up instead of down. 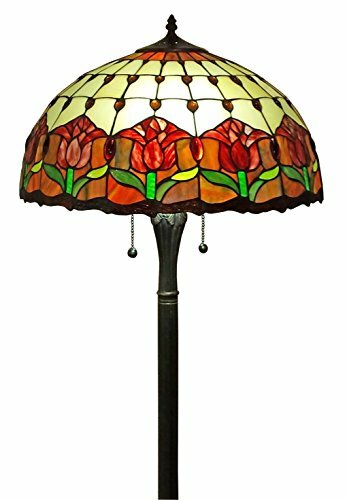 These types of corner floor lamps comes in different styles, from modern to traditional making them fit in any home.The light provided by torchiere floor lamps bounces off the ceiling providing a nice diffused general light. They have a heavy base, a pole and a shade on top. The inverted light lends drama and elegance to a room. Illuminate the corner of your room with stick floor lamps. 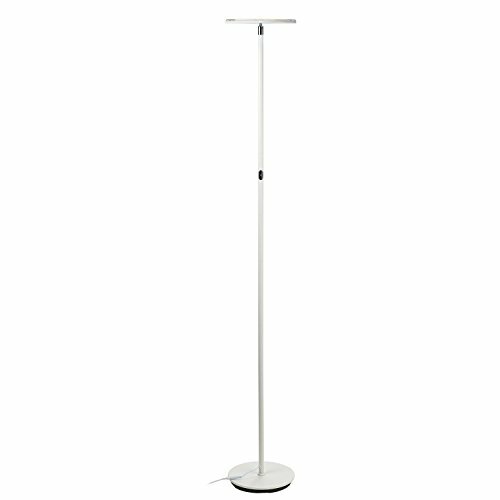 These are tall, sleek floor lamps with a sturdy base and a slim metal rod which blend with all types of home furniture. 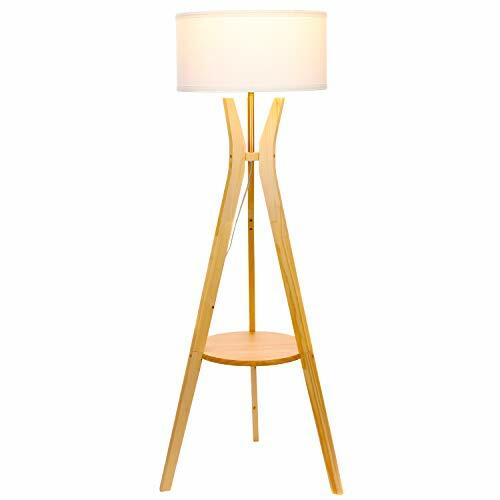 Stick floor lamp is both functional and decorative but mostly it is a source of lighting in a seating area.They are placed next to large pieces of furniture and the best areas to place is on the corner of the room to provide light and reduce the vulnerability of them being knocked over. They are a bit larger and provide more light than table lamps. A good corner floor lamp lights up an entire living room, alters the mood in your bedroom and give focused light for tasks in your home office. Floor lights are adaptable; they fit easily in any corner of a room, middle of a foyer or behind a sofa.Floor lamps, also known as standing lamps, are so much easier to install than a wired lighting system and they make wonderful changes to a room. Their designs and the type of light they emit in a room create a new atmosphere in a home. The corner lamp with shelves not only illuminate the whole room but offer a great area to place mobile phones, mp3 players, remote control or a drink. They turn a floor lamp into a functional shelf in minutes.Corner lamp with shelves can be utilized for mic stands where one can place their guitar pick, ashtray or drinks close to them while entertaining.Most floor lamps with shelves have modern designs with great looks. Some have attached USB ports for charging phone or for plugging in your computer. They come attached on the shelf so no accidents associated with knocking the lamp off your bedroom table. Offering light behind a sectional couch can be tricky because of their L and U shapes. Corner lamps works best behind this type of sofas because they can be adjusted in different directions and their unique designs are perfect to place behind sectional or against the wall.Their features include heavy weight base for support, adjustable arm(s), switch and bulbs. Corner floor lamps also work best behind sectional sofas because they don’t require a table which requires space.The best place to put the standing lamp is at the corner of the sectional where the couch turn; all people can read by it. Setting: Indoor. Materials: Glass, metal. 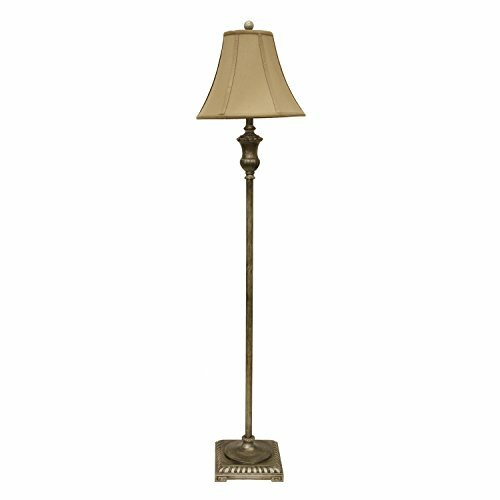 Fixture finish: Dark brown, Adjustable shade. Features 291 glass pieces and 21 beads. Number of lights: One (1). Switch type: Floor switch. Shade depth: 6.25″. 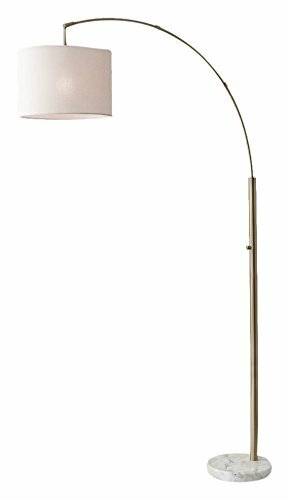 UPRIGHT LAMP FOR CONTEMPORARY DECOR: The Montage Modern has a minimalist design and fits perfectly in any room from mid century modern to traditional décor. 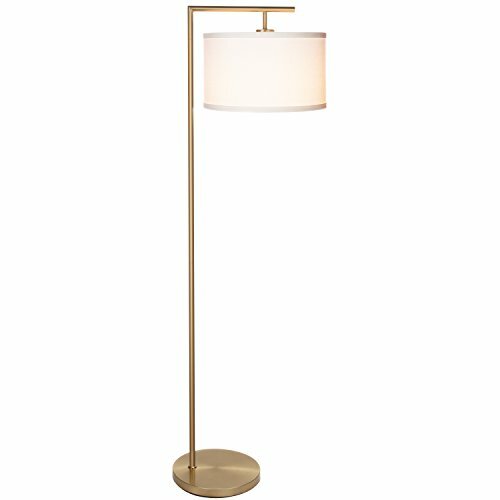 The brass (aka gold) finish pairs perfectly with the warm tone of the lamp’s illuminated, textural lamp shade. 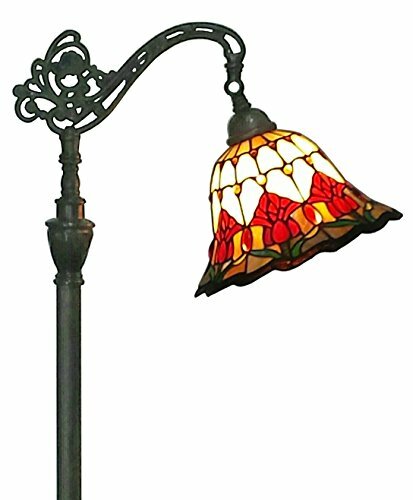 The overall look and feel of this lamp will make you feel warm, cozy and at home in any room. 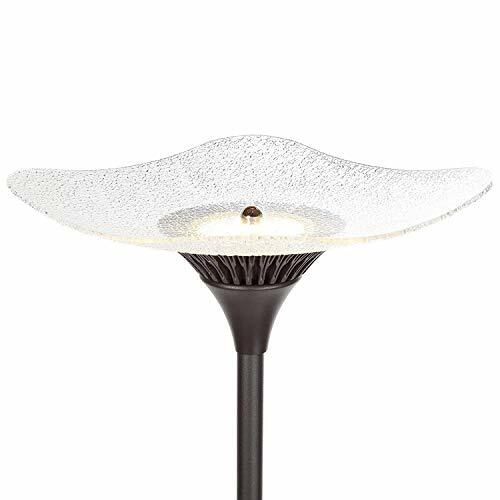 ALEXA & GOOGLE HOME COMPATIBLE WARM READING LIGHT FOR HOME OR OFFICE: Works with smart outlets that are Alexa, Google Home Assistant, or Apple HomeKit enabled, to turn on/off. (Requires smart outlet sold separately.) The Montage Modern Edition Lamp gives off warm, cozy light that creates a comfortable space beside your book chair, a great alternative to unpleasant overhead lights. FITS EASILY NEXT TO A SIDE TABLE, BED, DESK, OR COUCH: This lamp is lightweight, weighs only 14 pounds, and stands just over five feet tall, so that it is easy to move around to where light is needed most in your room. Its slender design makes it easy to place near love seats, sofas, armchairs, side tables, and desks. The lamp has a weighted base that prevents tipping, and the convenient to use on/off pedal switch allows you to easily tap the lamp on or off with your foot. LIGHT AN ENTIRE ROOM WITH A MINIMALIST, BRIGHT LAMP: With 1440 lumens, the Brightech SkyLite light blazes bright enough to be the only lighting source needed in your bedrooms, family room, living room, craft room, hobby room, or office without an overhead ceiling light. Capable of both mood and task lighting, Brightech’s Skylite vintage lamp solves your lighting needs brightly and efficiently. DIMMABLE AND STAYS COOL TO THE TOUCH: This stand up lamp has a built in dimmer that allows you to set the light according to your task or mood. It stays cool to the touch so that you do not burn yourself when you touch it to reposition the light, plus this avoids heating the room up. Dimensions: 14 diam. x 60H in. Shade dimensions: 14 diam. x 11H in. Dimensions: 13W x 21.5D x 71H in. Fully customizable illumination: mix and match 5 Color temperatures and 5 brightness levels for the most suitable light depending on the environment, activity, etc. 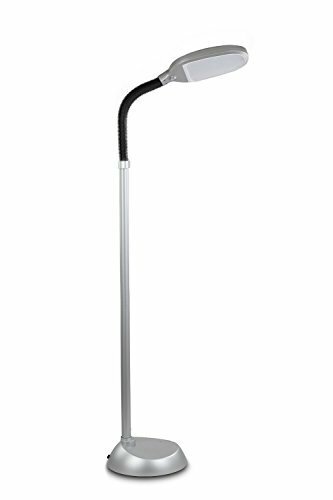 What Type Of Floor Lamp Is The Brightest? 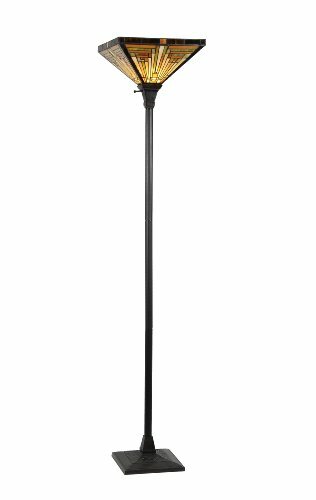 Torchiere floor lamps are the brightest. They have shades that points upward and the light emitted bounces off from the ceiling and walls to provide a lot of light to the ceiling and all around.They are perfect for lighting up the ceiling and spreading light all over the room. Some even come with 3 way switch to turn up brightness if needed. They are the most popular standing lamps on most homes today because of their wide variety of designs and their capability of providing more lighting than other types of floor lamps.With their illumination range, torchiere floor lamps can be used as sole source of lighting in a room. To avoid being knocked easily, it is best to place them on a corner of a room where it is not easily accessible by pets or kids. 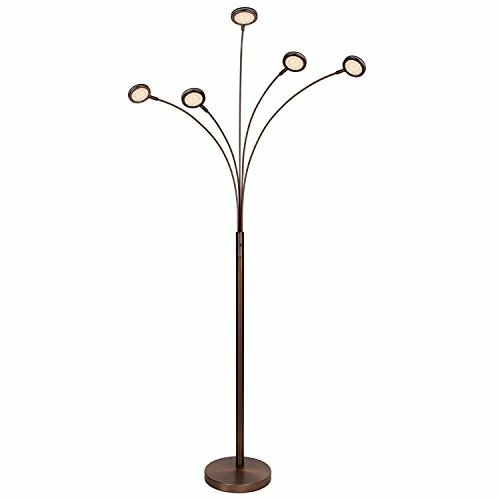 How Do I Choose The Best Floor Lamp For My Space? 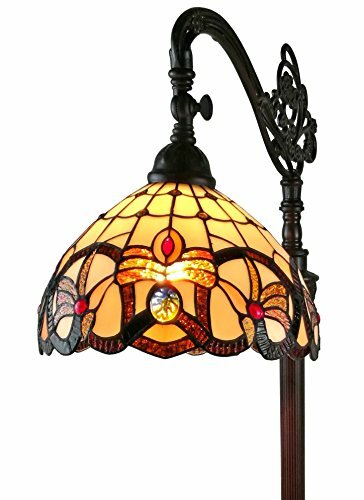 If you are on the market to purchase a new floor lamp, then one of the things you might wonder is the type of floor lights suitable for you. With so many styles available, it can be hard to choose the right one for your home.It is important to note that every type of corner light for living room have a different look, design and some serve multiple functions. It is important that you get a lamp that will cater to your lighting needs and fit in with décor in your home.AdjustabilityMost probably, you would prefer a corner floor lamp that not only can its brightness be adjusted but you can adjust its height and direction of the lamp. Modern models are designed in such a way that its user can raise or lower its height to match with the height of the furniture in a home.CostIt is very easy to find affordable corner floor lamps online. What you can spend on floor lamps depends on your needs, preferences and budget. 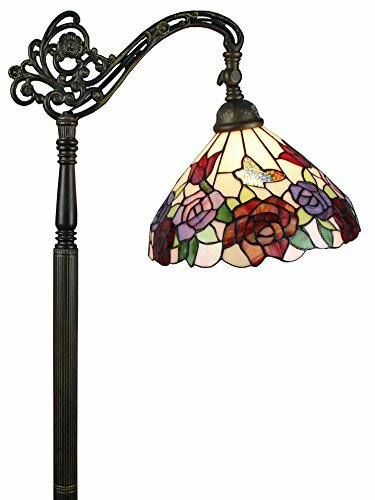 Affordable floor lamps will provide the needed illumination but might not come with fancy designs and style.If you can afford, it might be worth to spend a bit more on floor lights that are durable, fancy, are made of sturdy materials like metal and stone. Incandescent are the bulbs that were created in the 1800 by Edison. They are affordable, produce the needed light and warmth. However, they are not energy efficient and have a short life. Compact fluorescent bulbs were produced to solve the problem of energy efficieny.CFL use less energy to produce same amount of light as incandescent bulbs. They also last longer.However, CFL bulbs do not produce warm light. If you are buying a floor lamp, you might be tempted to use a LED bulb with it. This is because they can last around 20 years and use the least amount of energy compared to Incandescent and CFLs bulbs. 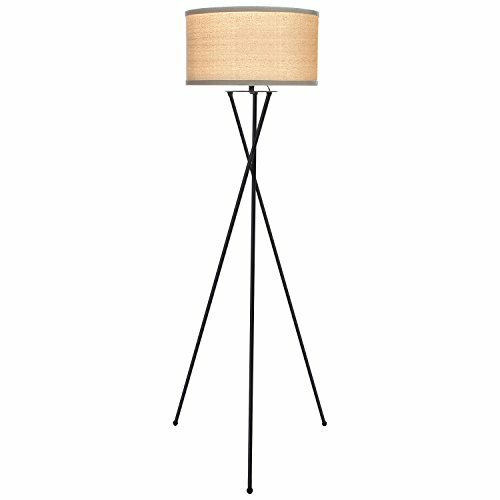 How To Make A Floor Lamp Taller? If you want to make your floor lamp taller, consider buying one with adjustable features. 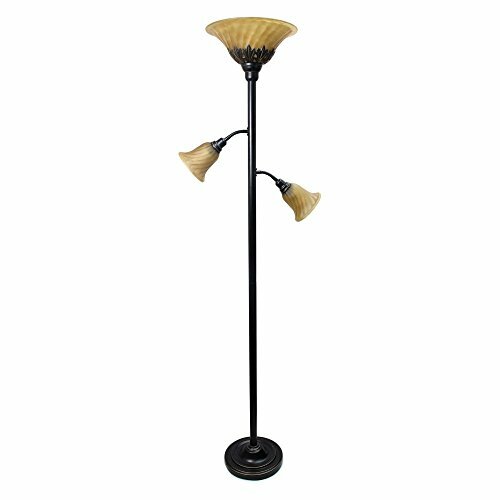 These types of corner floor lamps have adjustable poles allowing their user to raise or lower the height to accommodate their needs.Alternatively, you can add a heavy base painted the same color as your floor lamp to increase height. 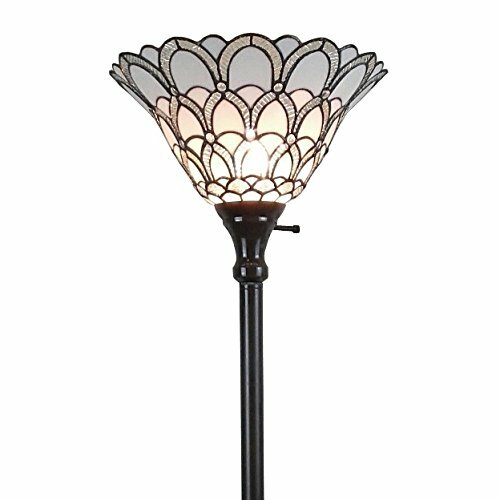 Corner floor lamps are the best way to improve lighting in your home and style. The right lighting complements the existing décor and that’s the beauty of corner floor lamps. They can also be used to change the mood of a room, from cozy to intimate and are easy to install compared to a wired lighting system.To increase functionality, buy corner light for living room with adjustable height and dimmer switches. 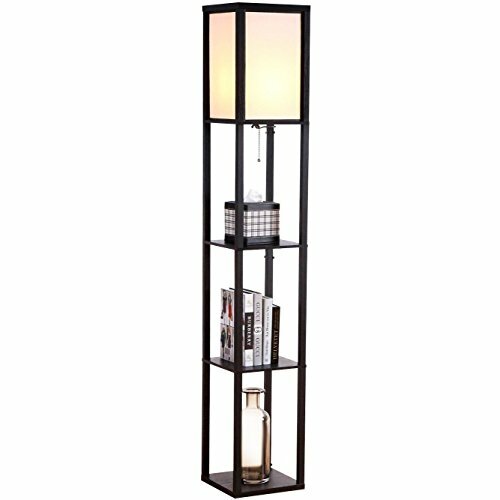 Buying corner lamp with shelves is a good idea to provide space for storage of personal items. 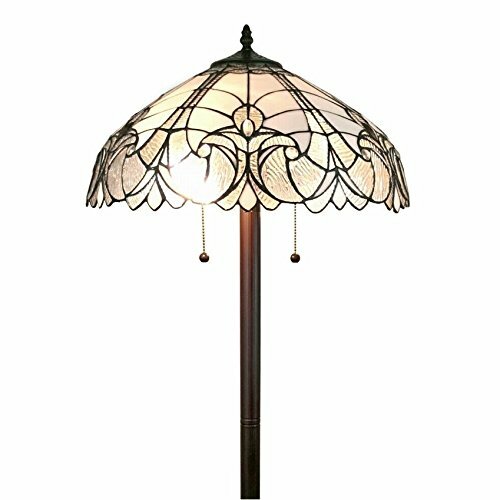 But whatever your need, you will find a floor lamp to suit your style and decor.